How do I confirm that my listing is in Active/Accepted status in the KWLS? Why is myTransactions (Dotloop) blue and not red/black? Can anyone open Google documents, even if they aren't using Google Apps? How do I put my KW Email - Powered by Gmail on my iPhone or iPad device? What are the PMS and CMYK color codes for KW red? 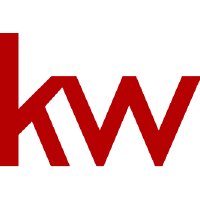 Where Can I find Keller Williams Logos? Can I have a copy of the KWCares logo? What is the address for Keller Williams Realty International?